New research shows that if your grandmother or even your great-grandmother came in contact with some very common environmental chemicals, you could be suffering the consequences today in the form of male infertility, ovarian disease and the early or late onset of puberty. It's freaky when you think about it. It means that generations ago, for example, a pregnant woman was exposed to, say, DEET, the most common insect repellant in the whole world. Her baby grew up to have his own children and passed along mutations that occurred during mom's exposure. Those children went on to also pass along those changes when they had their own kids, and there's no telling how many future generations might be affected. Michael Skinner and his colleagues at Washington State University in Pullman, Washington, published data supporting this phenomenon today in Public Libray of Sciences. In addition to DEET, they looked at several other common chemicals including those found in soft plastics, pesticides, and jet fuel. They also looked at dioxin, the contaminant in Agent Orange. Skinner and his colleagues have published several other studies looking at a chemical called vinclozolin, a common fungicide used on crops. They found it impaired fertility, and that the effect was carried down through generations. Now, the scientists are adding BPA, phthalates, pesticides, DEET, permethrin, dioxin, jet fuel, hydrocarbons, and JP8 to the list of chemicals with a similar effect. "We didn't expect them all to have transgenerational effects, but all of them did," Skinner told me. "I thought hydrocarbon would be negative but it was positive too. This tells us that it's not simply a unique aspect for a unique compound but that many environmental compounds have the ability to do this." The reasons behind choosing which chemicals to study partly came from the Department of Defense, which initiated the study. Why jet fuel? Because military bases spray it on roads to control dust. That's also why they looked at three plastic compounds found in disposable water bottles: troops stationed overseas almost always drink bottled water. The work is part of a new field called epigenetics, which means "above" or "outside" of our genetic code. It represents a break in the traditional way of looking at human genetics and heritability: that genes determine pretty much everything in human biology. Epigenetics explores the effect of the environment on our genetic expression. It's practically heresy for traditional genetic researchers. Skinner himself was trained in genetic determinism. But his research shows there's no doubt that the environment has an impact on our own genome as well as our future generations' genetic expression. "I was trained also as reductionist, meaning you take a system and tear it apart down to minute components, then try to identify the whole thing," Skinner told me. "We used that for 50 years but we've reached the point where that's no longer the only appropriate approach for science." 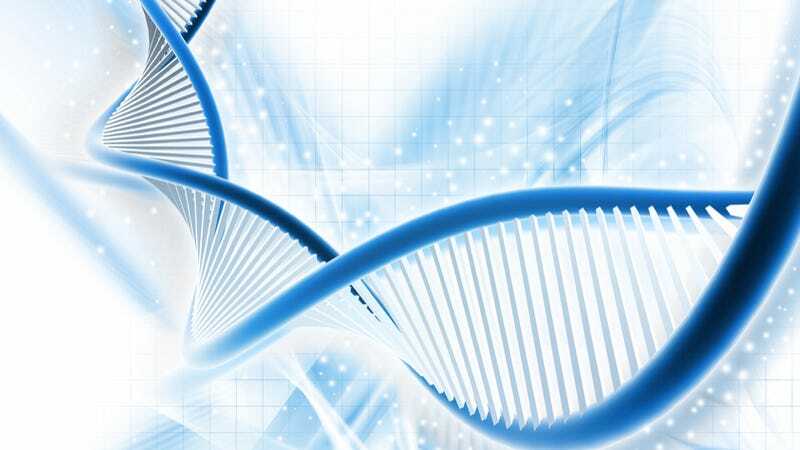 The researchers were also surprised to find that each chemical created a unique signature of epigenetic biomarkers, which means it could be used as a diagnostic tool. Developing such a tool is what's next for Skinner's research. "We want to pin down the biomarkers for ancestral exposures and correlate them with the disease that develops," Skinner said. "Think about what that could do for helping diagnose what your relatives have been exposed to. You could also find out at age 20 or 30 what your biomarkers are. This is the type of approach that will lead to preventive medicine."